Rabbi Chaim Shaul Karelitz was a Lithuanian Scholar of note. He was Chief Rabbi of Sheeris Yisrael rabbinical court in Bnei Brak and a nephew of Rabbi Avrohom Yeshaya Karelitz (the Chazon Ish). Rabbi Chaim Shaul Karelitz was born in 1912. 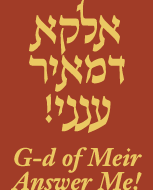 His father Rabbi Meir Karelitz was the Rabbi of the city of Lakhowicz, and was highly respected by the leaders of European Jewry such as Rabbi Chaim Ozer Grodzensky and the Chofetz Chaim. Rabbi Meir Karelitz later moved to Palestine where he helped found Chinuch Atzmai and the Vaad Hayeshivos together with Rabbi Isur Zalman Meltzer. He also served as chairman of the Moetzes Gedolei HaTorah. As a child, Rabbi Chaim Shaul first studied in the Talmud Torah of Vilna. He then studied briefly in the Ramailles Yeshiva in Vilna under Rabbi Meir Bassin. He then went to Baranowitz where he became a prime student of Rabbi Elchonon Wasserman, and Rabbi Dovid Rapaport, the author of Mikdosh LeDovid. When he was eighteen he travelled to the Kaminetz yeshiva where he studied under Rabbi Boruch Ber Leibowitz for over ten years. During that period, he developed a warm relationship with his revered Rosh Yeshiva who greatly respected the young Chaim Shaul for the vast amount of Torah knowledge he possessed and his sterling character. Prior to the outbreak of World War II in 1939, Rabbi Chaim Shaul moved to Palestine. For a brief period he studied in the Kaminetz Yeshiva in Jerusalem and then transferred to the Lomza yeshiva in Petach Tikvah. In 1942 he married the daughter of Rabbi Yehoshua Berger, a granddaughter of Rabbi Yosef Chaim Sonnenfeld. After their marriage, the couple resided in Petach Tikvah, where Rabbi Chaim Shaul continued his studies in the renowned Toras Eretz Yisroel Kollel headed by Rabbi Yitzchok Katz, where some of the most outstanding Torah scholars in the country studied. The Chazon Ish later proposed that Rabbi Chaim Shaul serve as rabbi of Petach Tikvah's Torah community. Rabbi Chaim Shaul wanted to continue to study undisturbed and therefore declined the offer. Nevertheless, he made himself available to answer the many questions of people who respected him and sought his guidance and counsel. In 1955 upon the death of his father, Rabbi Chaim Shaul moved to Bnei Brak to be near his mother. Nonetheless, he continued to travel every day to Petach Tikvah to study in Kollel Toras Eretz Yisroel. When Rabbi Eliyahu Eliezer Dessler became the spiritual leader of the yeshiva of Ponevezh, Rabbi Chaim Shaul became very close with him, and avidly absorbed all of his teachings and writings and knew them by heart. After the death of Rabbi Dessler, Rabbi Chaim Shaul became close with the Mashgiach of Ponevezh Rabbi Yechezkel Levenstein. In 1960, Rabbi Chaim Shaul was appointed to the position of Mashgiach and Menahel Ruchani of the Beis Meir Yeshiva, where he delivered ethic discourses and spoke in Torah with the students. He toiled over his studies in the Beis Meir yeshiva for more than forty years had a deep influence on its students. In 1968, when the Talmud Torah Tashbar opened a Yeshiva Ketana, he served as a maggid shiur and a member of the executive board. For more than three decades, he nurtured the students many of whom under his guidance would become the generation's finest scholars. Rabbi Chaim Shaul Karelitz was a phenomenal Gaon and Tzaddik in all areas of Torah, and was highly regarded by all the generation's great sages. His genius was complemented by his extraordinary humility. Rabbi Karelitz was also very involved in the needs and futures of students of Sephardic backgrounds and made supreme efforts to draw them closer Torah. He would travel all over the country to influence them to enroll in traditional Yeshivohs. In 1987, upon the urging of Rabbi Eliezer Menachem Shach, the revered Rosh Yeshiva of Ponevezh, Rabbi Karelitz founded the Sheeris Yisroel rabbinical court of Bnei Brak and its Vaad Hakashrus. He personally directed this huge nationwide kashrus network for fourteen years until his death. Rabbi Chaim Shaul Karelitz passed away in 2001. Tens of thousands of Jews from all over Israel attended the funeral. He was eulogized by the foremost leaders of the Country. Rabbi Chaim Shaul Karelitz had tremendous concern for poor families in Israel and the Rabbi Meir Baal Haneis Salant charity fund. Rabbi Karelitz is a signatory on the historic 1979 Kol Koreh (broadside) on behalf of Rabbi Meir Baal Haneis Salant, together with such Torah giants such as Rabbi Moshe Feinstein, Rabbi Yaakov Kamenetsky, Rabbi Yaakov Yisroel Kanievsky The "Steipler", Rabbi Shloma Zalman Auerbach, Rabbi Elazar Simcha Wasserman, Rabbi Dovid Povarsky, Rabbi Yechiel Michel Feinstein, Rabbi Moshe Shmuel Shapiro, Rabbi Shmuel Birnbaum, and many, many others. May their memories be a blessing to all.